Kolkata, Nov 15 - A court here on Wednesday directed Indian pacer Mohammed Shami to appear before it on January 15 in a cheque bounce case lodged by his wife, failing which may lead to the issuance of an arrest warrant against him. 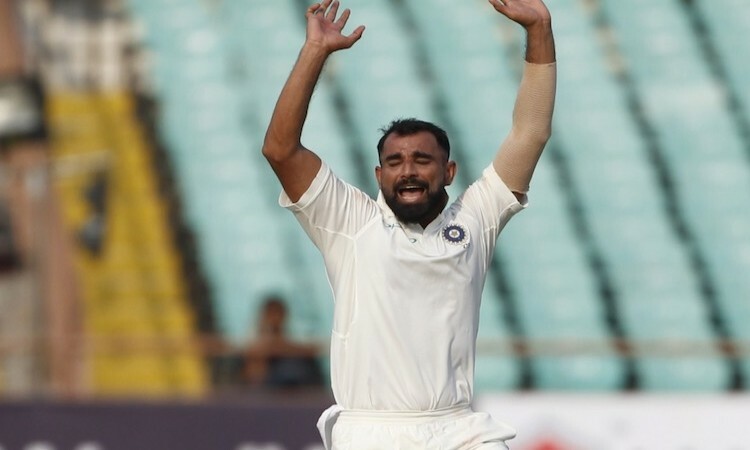 Shami's wife Hasin Jahan, who is fighting a marital dispute case with the cricketer, had filed a case under the Negotiable Instruments (NI) Act after he had allegedly stopped payment of a cheque given to her for monthly expenses. "Sami was asked to appear before the chief judicial magistrate court in Kolkata's Alipore on Wednesday for the hearing. The appearance can be made in person or through the pleader. So he chose to appear through pleader (counsel)," Shami's counsel Sk Salim Rahaman told IANS. "However, the court has passed an order directing him to appear before it on the next hearing on January 15. The court also said it may issue an arrest warrant against him if he fails to appear on the given date. We would challenge the court's order and ask for its revision," he said. "Jahan had earlier claimed for maintenance under the domestic violence act but that got rejected by the court. She has now filed another application seeking maintenance based CrPC 125 (Order for maintenance of wives, children and parents if they are unable to maintain themselves)," the counsel said. "However, we were not given any copy of the application filed before the court till now. It was handed over to us today," he added. The case will be next heard on December 14.